#OHL 2014-15 Award Finalists: How did the @OHLBarrieColts do? - Very Barrie Colts | A website covering the Barrie Colts of the OHL. Home Awards Barrie Colts blog CHL Joseph Blandisi Leo Lalonde Memorial Trophy Max Kaminsky Trophy OHL Rasmus Andersson Red Tilson Trophy #OHL 2014-15 Award Finalists: How did the @OHLBarrieColts do? 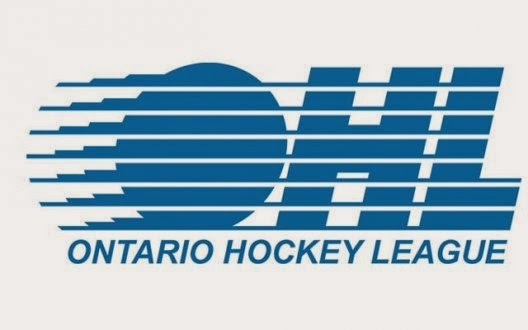 #OHL 2014-15 Award Finalists: How did the @OHLBarrieColts do? Two Barrie Colts earned nominations over 3 of the 7 awards presented to players/coaches for their performance and contributions over the regular season. Joseph Blandisi is up for the Leo Lalonde Memorial Trophy (Overage Player of the Year) as well as the Red Tilson Trophy (Most Outstanding Player of the Year). If Blandisi wins the Leo Lalonde it would make him the first Colt to win the award since the 2009-10 season when Bryan Cameron won. If he wins the Red Tilson Trophy it would make him the first Barrie Colt to win the award. Last winner of the award for a Barrie team was Gil Mayer who won the award with the Barrie Flyers in the 1948-49 season. Rasmus Andersson is up for the Max Kaminsky Trophy (Defenseman of the Year). If Andersson wins the award it would make him the 3rd Colt in team history to win. The last time the Colts won you have to go ALL THE WAY BACK to last season when Aaron Ekblad won the award. The other winner was Eric Reitz who won in the 2001-02 season. Here is a look at a breakdown of the 3 awards that the players are up for with the list of other candidates. Congratulations to both Joseph Blandisi and Rasmus Anderson on the nominations and good luck!